Welcome back for another round of ASPI suggests. The Iranian nuclear deal gets top billing this week. Here’s just a taste of the reporting, analysis, criticism and complements: just hours after the agreement was concluded, Barack Obama was out spruiking it in a 45-minute interview  with Thomas Friedman. The Economist has a cover story  on the deal. At Politico, Elizabeth Dickinson asks: where does the Iran deal leave Saudi Arabia? The White House produced a fact sheet  on blocking Iran’s four pathways to a nuclear weapon. CNAS asks and answers some questions  for US strategy. The New York Times has both a 200-word take  and a ‘simple guide’  to the deal. David Frum at The Atlantic walks through the US political consequences  and suggests Obama’s next steps . And Chris Patten, writing for Project Syndicate, counts the deal as a win for non-proliferation . Need to swot up on happenings in the South China Sea? CSIS’s Asia Maritime Transparency Initiative has you covered with their pithy timeline-meets-infographic on SCS developments so far in 2015. Check it out here . After a year of effort, the UK-based think tank RUSI has this week delivered its independent surveillance review to the Cameron government. The review panel found no evidence of illegal communication intercepts, but noted that the legal framework for such activities is unclear and outdated, necessitating reforms. Catch up with the report  (PDF) and the launch event . Neutering Islamic State’s online propaganda remains on the to-do list of the US-led coalition, which continues to lack a coordinated and cogent counter-narrative. A recent piece  by Kalev Leetaru calls for an all-out cyber offensive (albeit a creative one) against the group. Over at the Net Politics blog, run by the Council for Foreign Relations, David Fidler considers two of the legislative options  being weighed to counter extremist messages on social media, both of which would have implications for national security, civil liberties and Silicon Valley. CNN carries a story about IS’s use of encrypted communications  to evade the FBI’s interception efforts. Over at Foreign Policy, Rosa Brooks has valiantly taken on the jargon and cliché of US foreign policy to interpret what officials really mean. Brooks serves up equal measures of sardonic humour and truth  (paywalled). See: ‘Rebalance to the Asia–Pacific’. Lastly, today marks the end of Ramadan. On Monday, users of the popular image-sharing app Snapchat were treated to spectacular scenes broadcast straight out of Mecca , opening up a city closed to non-Muslims. 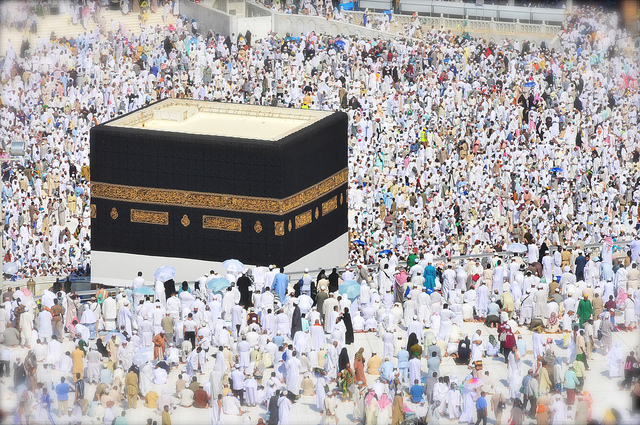 Along with in-app coverage, Snapchat also kicked off the hashtag #Mecca_Live, which soon migrated to Twitter where users also shared their images and reflections . ASPI’s Andrew Davies and War is Boring’s David Axe appeared on Radio National’s Late Night Live this week to discuss the recent test dogfight between the JSF and the F-16. Listen to their chat with Phillip Adams here . I’ve previously given some Suggests space to the University of Melbourne duo behind Last Stop to Nowhere , a podcast that shines a light on some of the lesser-known stories from Australia’s past. While June saw them return with an eight-part (!) series on the Rum Rebellion, their back catalogue also includes two compelling episodes: one on the genesis and growth of Aum Shinrikyo  including the group’s link to the Western Australian outback; and another on The Somerton Man , whose mysterious death in South Australia in 1948 occurred against a backdrop of Soviet spy rings, the emergence of ASIO and weapons testing at Woomera. Retired four-star US military man General Stanley McChrystal was joined by his former Aide-de-Camp Chris Fussell as the two recently sat down for a wide-ranging two-hour chat with Tim Ferriss. It’s worth a listen . This week Defense One thinks about how a US soldier might be kitted out in 2030 , determining exoskeletons , real time data feedback and a plethora of sensors and tech. But where have they come from? This short video  takes a look at changes in the US Army uniform over the past 200 years from the revolutionary and civil wars through to today. Perth: Hot on the heels of the Prime Minister’s visit to Singapore, Professor Michael Barr will set out to explain what the history of Singapore’s foreign policy means  for the country’s future. Get along on Tuesday 21 July. Canberra: Professor Paul Dibb will consider the Russian threat to world peace next Wednesday 22 July. Register here . Melbourne: The AIIA’s Victorian Branch will host their ‘One Korea’ panel discussion on issues including human rights, reunification and politics in the North, featuring Michael Kirby, Michael Danby and Korean Consul-General Hongju Jo. Mark your diary for Tuesday 4 August . David Lang is an analyst at ASPI and an editor of The Strategist. Image courtesy of Flickr user Al Jazeera English.